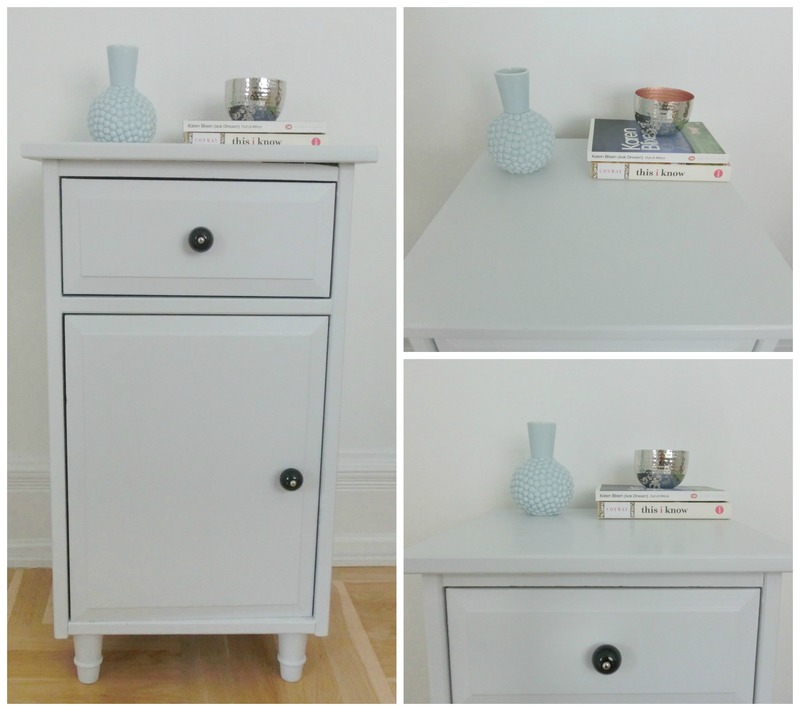 I have mentioned a few times my plans to give some older furniture we have a new lease of life before we move to our new apartment. Rather than buy all new things, it is better to make your old things new! 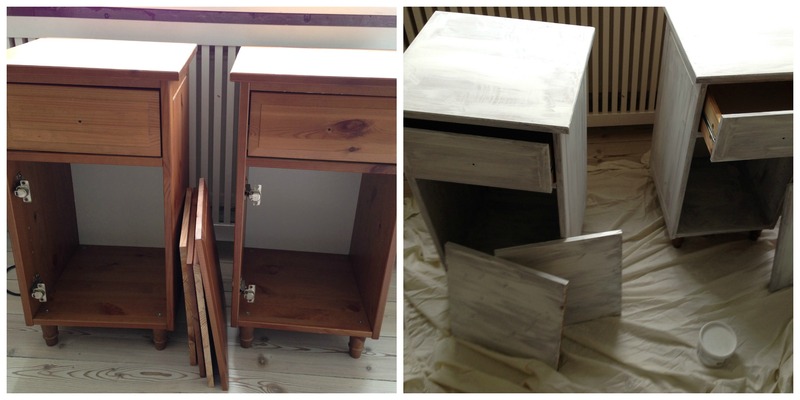 It was the first time that I have painted furniture so after some advice from my parents, the manager of Flugger Farver on Gammel Kongevej and some bloggers (here particularly), I started with two relatively cheap 10 year old Ikea bedsides, which were a bit dated. Below is what I started with and the priming stage. I learnt here that slapping primer on willy nilly is not the best way forward. Next time a smoother application and a more consistent coverage would give a better base for the next coat of real colour. It was a learning curve and I can do better next time but on the whole I am delighted with the results. The colour was not a grey as I wanted but actually works well. The next project a solid wood dressing table but with this experience under my belt I feel a lot more confident. I like these – they have a very summer house-y look! Thanks, Laura. They certainly brighten up the space a bit! They look pretty good for a first attempt. Lovely and fresh looking 🙂 Well done! Thanks, looking forward to tackling a big project next time – watch this space!